Brad Kinney was born in Toledo, Ohio on April Fool’s Day, 1937. Realizing early in life that he wanted to be a musician, Brad boarded a bus and traveled one hundred miles weekly to Cleveland to take trombone lessons from a member of the Cleveland Symphony Orchestra. As a teenager, he was featured soloist in the Toledo Art Museum Concert Hall. He graduated from DeVillbiss High School in 1955 and as a die-hard buckeye, attended The Ohio State University, where he was the baritone section leader in the all-male marching band. He conducted the Tau Kappa Epsilon fraternity choir and always won every campus competition, due in large part to his omnipresent flair for drama and musical surprise. He graduated from Ohio State in 1959 and married Lynn Ellan Payne that year. His first teaching position was at Bascom High School near Fostoria, Ohio, followed by the band director job at St. Wendolyn Catholic School. While teaching, Brad taught many students private lessons and played professionally in various dance bands, a passion he continued throughout his life. He and his wife had three children during the 60’s: Biff, Martha Lynn, and Scott, who is now a band director in Murfreesboro. In 1970, Brad moved to Nashville to pursue a professional playing career. While continuing to play his trombone at night, he got a job during the day at Hewgley’s Music Store, working as a road man, a position that allowed Brad to meet many middle Tennessee band directors. Sammy Swor, the legendary band director at Isaac Litton High School, convinced Brad to take the band directing job at Nashville’s East High School, a school suffering the pains of court-ordered desegregation. The job at East was challenging, with many describing Brad as part time band director and full time policeman, but Brad loved those students and began producing outstanding results. He moved to Donelson Junior High School in the mid 70’s and became assistant director at McGavock High School in 1978 and director in 1980. Brad’s bands at McGavock continued Hall of Fame member Kenton Hull’s legacy of producing outstanding musical results in both marching and concert bands. Brad programmed spectacular literature for the McGavock Wind Ensemble and his students were always in the top chairs in the Mid-State and All-State Bands. Like several of our present Hall of Fame members, Brad heard the lucrative call of fundraising and left education for greener pastures. A few years in fundraising convinced Brad that he was a teacher first and foremost. Simply put, he missed the classroom. He returned to band directing with his good friend Bill McMinn at White House, where he worked with both the middle and high school bands. During his career, Brad was often asked to serve as adjudicator and clinician. He has the reputation of telling the truth – the whole truth and nothing but the truth – if you dared ask him his opinion. He maintained memberships in Tennessee Music Educators Association, Music Educators National Conference, National Band Association, and the Middle Tennessee School Band and Orchestra Association, where he served on the Executive Board. He was the recipient of the National Band Association’s Citation of Excellence and the Certificate of Merit for Marching Excellence. He also voluntarily mentored several young band directors, long before mentoring was fashionable. Brad loved his students and they loved him back. He demanded excellence in every performance, challenged his students with great literature, and motivated his students to excel in every aspect of their life. His pedagogical efforts produced outstanding citizens who have gone on to be life-long consumers of music. Many of his students went on to study music in college and several of them are band directors today. The thousands of students he taught and the lives he touched were all made better by his supreme talent, his engaging persona, and the genuine love he had for his craft. His legacy continues to influence band students throughout Tennessee. Dwight Christian graduated from Loudon County High School in 1953 and after a short time in the private sector attended and graduated from Middle Tennessee State University. Upon his graduation in 1959 Mr. Christian accepted the band director’s position at Macon County High School in Lafayette, TN. His career led him to Oneida High School in TN and McCreary High School in Whitley, KY. In 1964 Mr. Christian moved to Knoxville where he began a 34 year career of distinction. While working in Knoxville City Schools he successfully taught students of all ages and became the marching band music arranger of choice for Knoxville City Schools. From 1966 to 1971 he was the band director at South High School. During this time the band competed in “The Greatest Band in Dixie” marching competition in New Orleans, LA. Under his leadership the South Band was twice named a top three finalist in this prestigious event. In 1971 Mr. Christian was accepted and attended the University of Tennessee where he received his master’s degree. 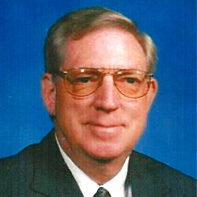 In 1972 he resumed his career with the Knoxville City Schools and in 1975 was named the director of the newly consolidated South-Young High School, where he served with distinction until 1990. In 1991 Mr. Christian was named “Director of Bands” at South-Doyle High School and remained there until his retirement in 1997. Mr. Christian’s musical organizations were successful in the 4, 5, & 6 classifications at state concert festival. His marching bands were perennial top three winners at marching contests throughout the region. Mr. Christian’s work with students in the field of jazz education was legendary. He was chair of the East Tennessee jazz studies committee that would eventually help establish the guidelines for all-east and all-state jazz band auditions. He served as the All-State jazz chairman and is a consultant and jazz clinician for many groups in the Knoxville area and the East Tennessee region. Mr. Christian was a member of NBA, TMEA, and was named an “Honorary Life Member” in ETSBOA. 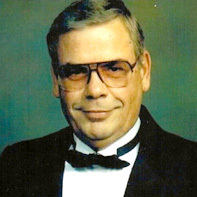 He served on the board of directors of the Knoxville Musicians Union for 12 years, and he was a member and later elected president of Phi Beta Mu. Mr. Christian has continued to perform professionally on both the saxophone and the vibraphone. He served 4 years on the board of directors for the “Joy of Music” school in Knoxville, TN. This fine arts school was developed for underprivileged students to assist with their musical enrichment. Dwight lives in Knoxville with his wife, Carolyn and is still active as a band consultant in the Knoxville area.